Here’s a thing you may not know about me: I don’t drink. Nor do I smoke or have a ghastly drug habit. But, I do have nasty habits that aren’t good for me. One of those is soda. I LOVE soda. 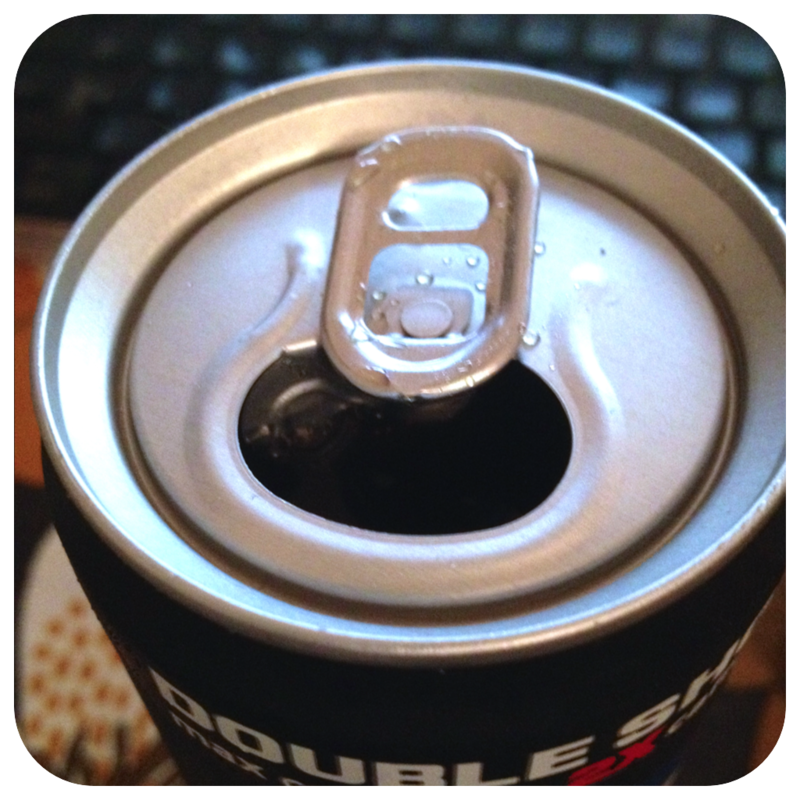 I try really hard not to drink too much – with varying degrees of success – but, I love, love, love it. I rank my favorite sodas in the same way a fancy-schmancy wine taster might compile a best-of list for a hoighty-toighty magazine. Well, naturally, I complied with her request, and I did so in pictures. 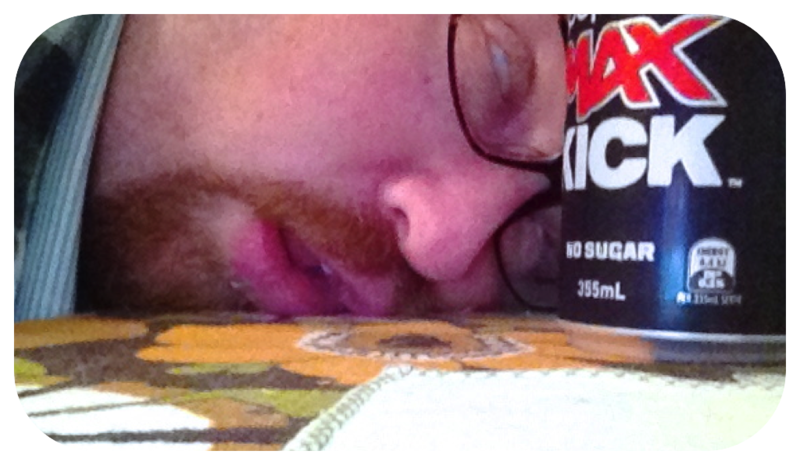 And so, gentle reader, for your consumer information, I present you a pictorial review of the beverage “Pepsi Max Kick”. It all starts with a “ksssshhhhhtt”. 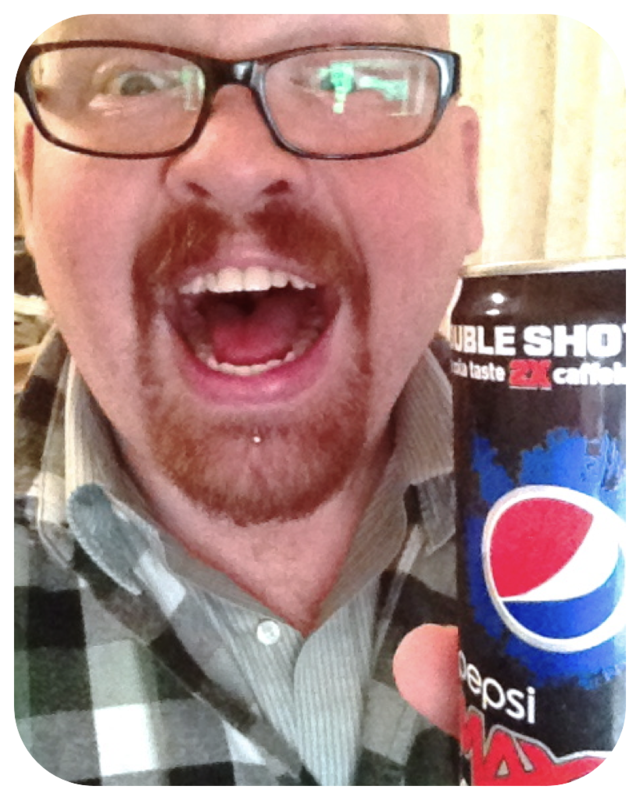 Mmm… tastes like Pepsi Max, but, like… more. 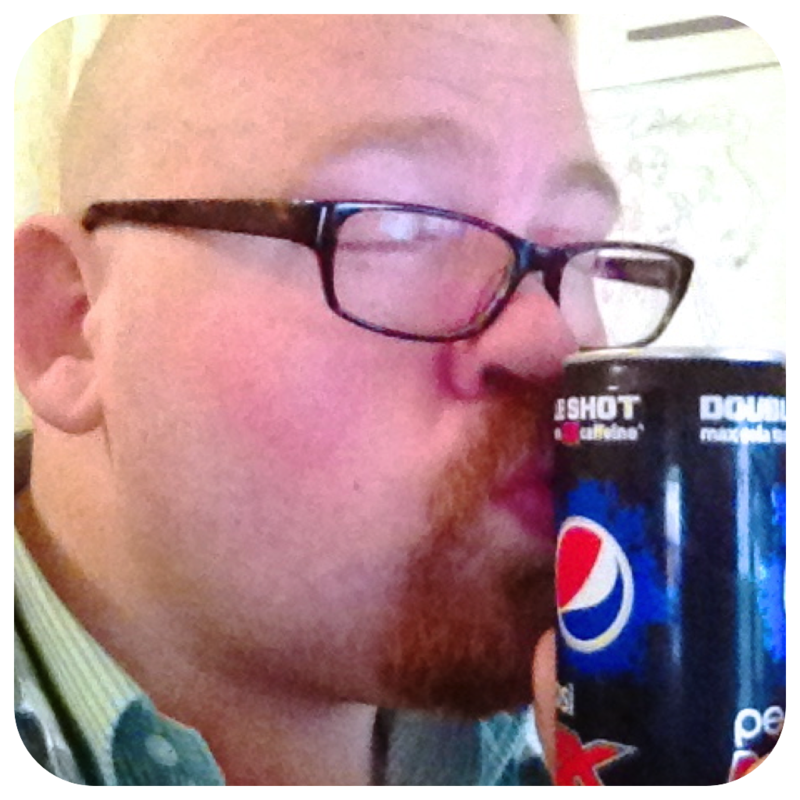 I DO love you, Pepsi! Don’t ever leave me! The excitement took its toll. 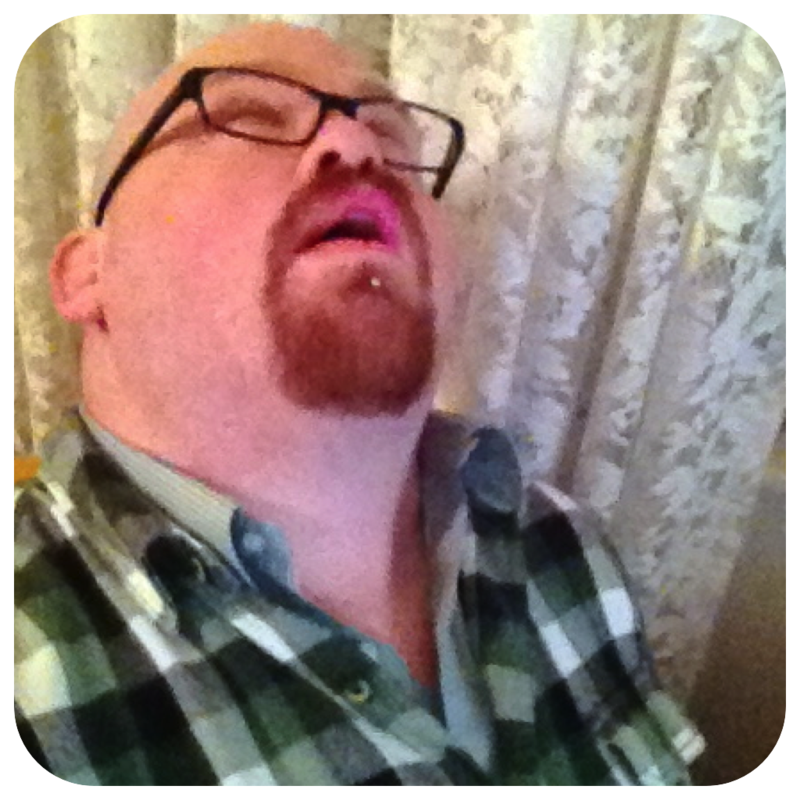 Please also take note of my extreme lack of neck. I’ve always wished for an actual neck, alas. 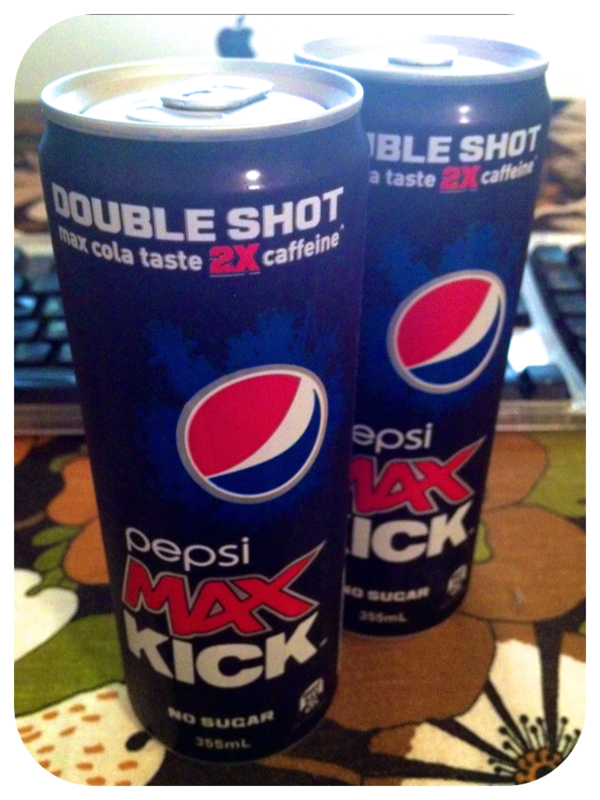 In seriousness, it tastes just like Pepsi Max, but slightly more flavorful. I didn’t really go bonkers on it, it’s not that intense, but I’ll qualify that by saying things don’t seem to quite affect me as easily – it’s like trying to drug a buffalo. But, I think it provides a good alternative for a caffeine boost to people who, like me, don’t drink coffee and think power drinks taste like fetid cat urine. 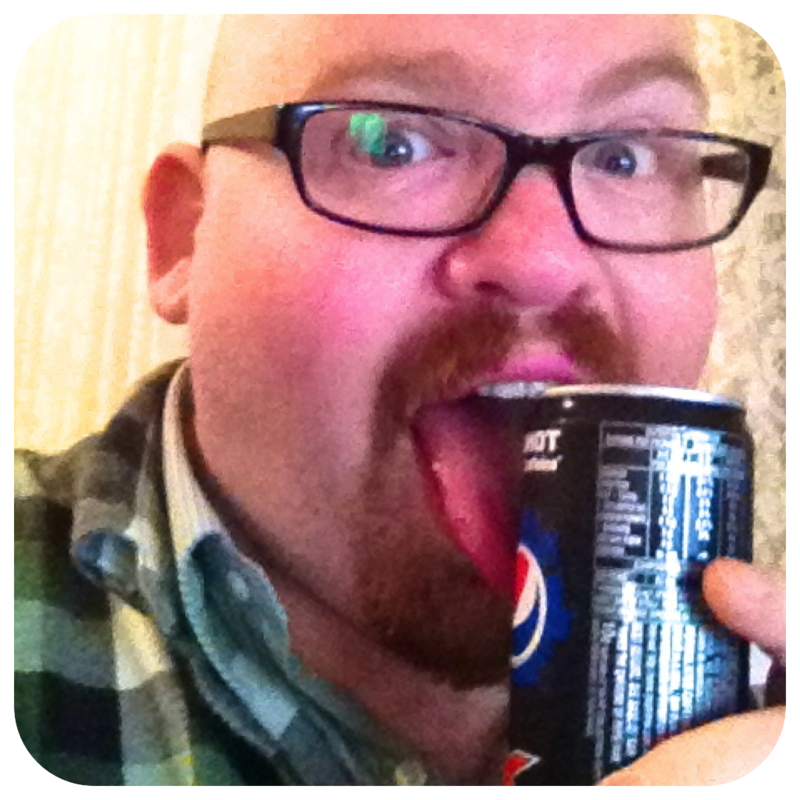 Also, please note that this was in no way a paid advertisement by Pepsi…. but it could be! 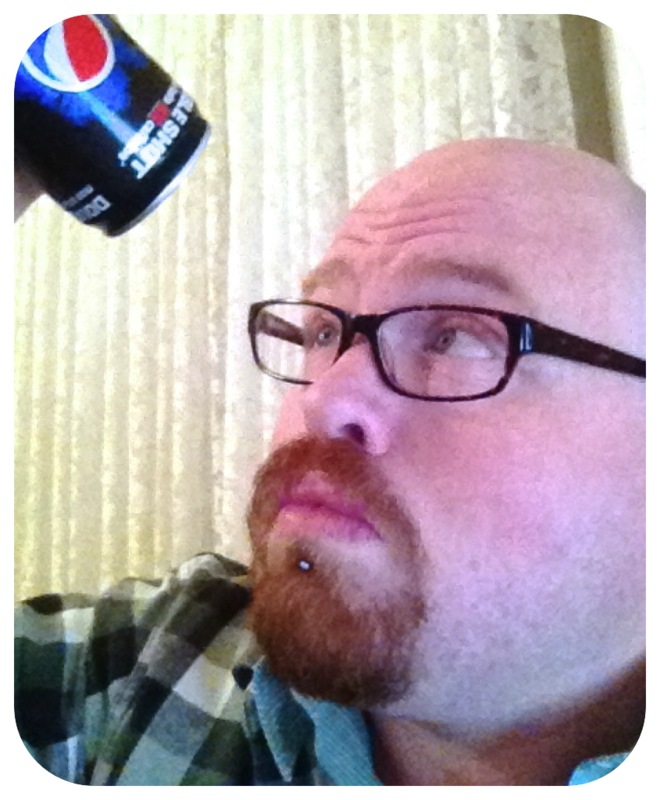 If you’re reading, Pepsi, have your people call my people, we’ll do lunch. Oh man…you are precious and I love your photo series, which had me smiling till my cheeks ached. First, the pics are SUPER adorable!! 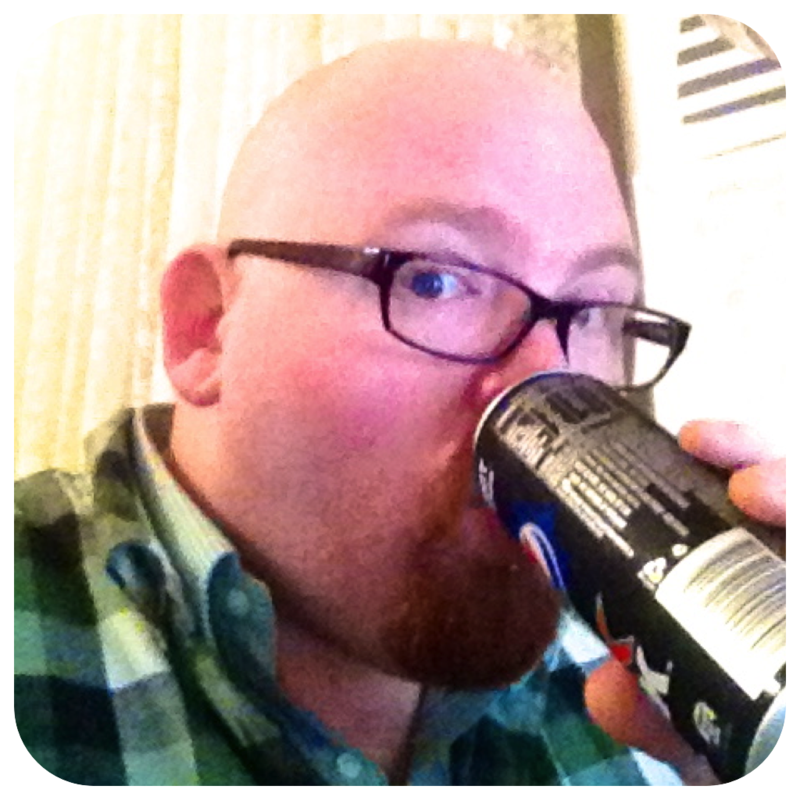 Second, I have been in love with Diet Pepsi since 10th grade, so um a LONG time! lol Third, also fries, I don’t care what kind of fries (home fries, McD’s, BK, the fancy ‘battered’ ones you get at Popeyes) I love them ALL. 3rd pic in the series (4th one from the top of the page) is my FAV!!! Just wanted to say I too am a soda addict but my addiction lays with the Coke family. 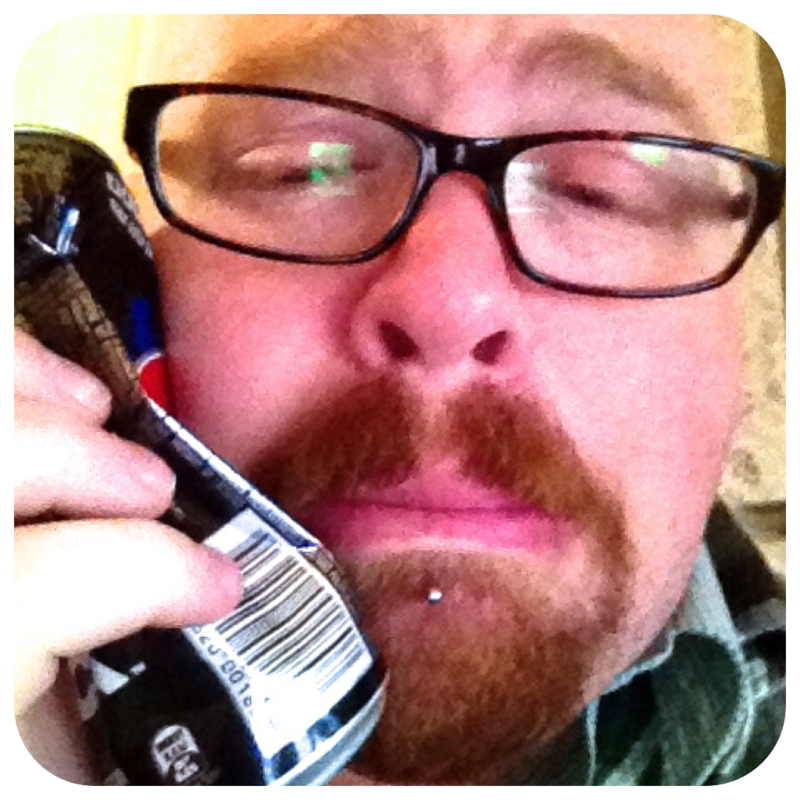 I am a Coke addict. I LOVE full strength Coke but will drink Zero in hopes of fooling myslef I am being healthy & if I am really in a bind, I’ll drink diet, but I wont be happy. I do sway into Pepsi land, (mainly when I am indulging in a certain terrible -for- you fried chicken) but my first love will always be Coke…..I do not even dare try this new variety of Pepsi as it may just be the end of me! 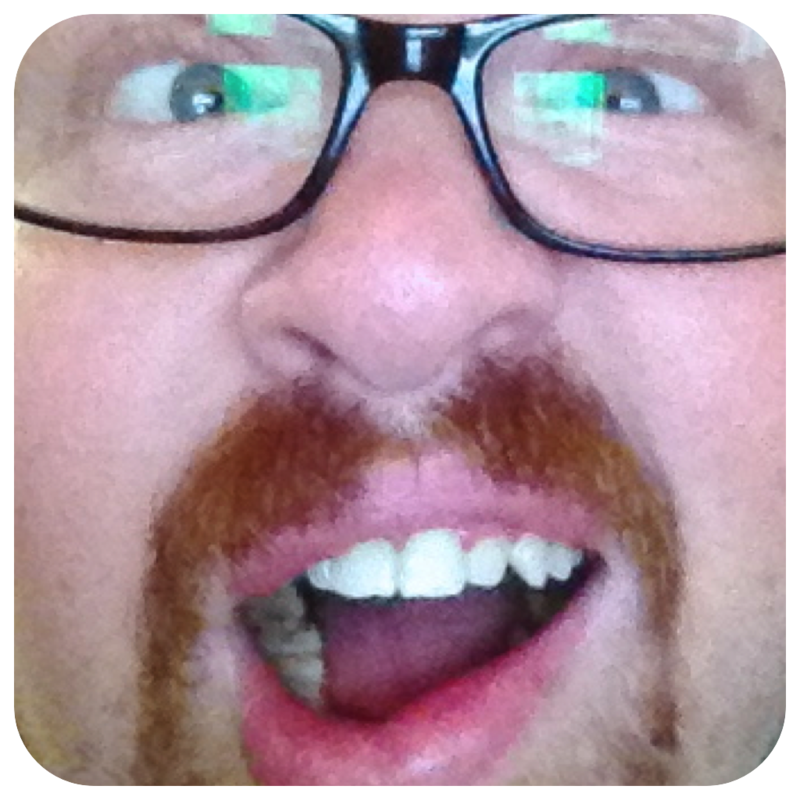 You’re hilarious ^_^ I love the photo of the sudden onset withdrawal! also, if you scroll at just the right speed, it’s kinda like a stop motion piece. My addiction? Nutella. Ahhh, Nutella…Just thinking about it makes me drool. It requires no vehicle besides my spoon. And I do not share. Get your own. 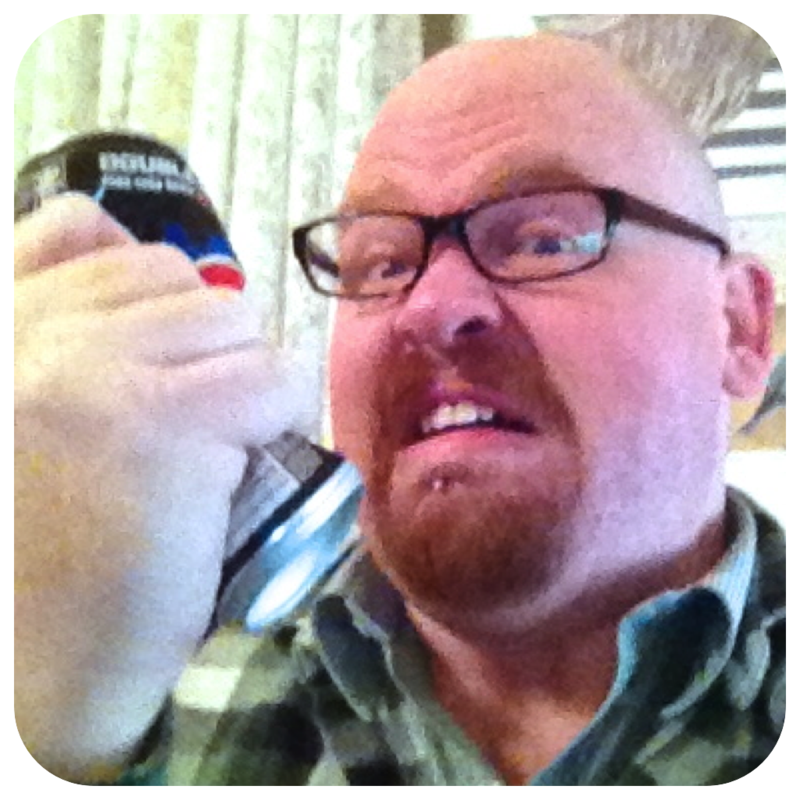 Oh you are so funny..you and your Pepsi!! I’m so glad that isn’t sold over here – I’d have a heart attack after the first can. Or more likely just never sleep again!